But when she learned Madden Park was one of the many CHA projects slated for demolition, she had no interest in moving to the mixed-income community that would be built in its place. “I said, ‘I ain’t moving. I ain’t going nowhere,'” she says. For all its troubles, Madden Park had community spirit. It was a place where neighbors kept an eye out for her three sons and, later, her two granddaughters. And she wasn’t sure that a two-bedroom apartment in the new complex would be an improvement over her four-bedroom on the top floor of a Madden Park rowhouse. Journeys like Coleman’s – from dense, dilapidated public housing to a new home in a mixed-income community – are unfolding citywide. About a dozen public housing projects are being razed as part of the CHA’s plan to break up poverty-stricken enclaves by mingling public housing residents with buyers and renters in other income groups. The plan is transforming the Bronzeville area on the city’s South Side, where five of these mixed-income communities are under construction. A growing mass of low-rise housing, its brick facades unblemished by pollution or wear, is cropping up in place of the distressed high-rises that once walled off the neighborhood. One project, Jazz on the Boulevard, is nearly sold out. The others, Lake Park Crescent, Oakwood Shores, Park Boulevard and Legends South, are in early stages. These projects will ultimately bring about 7,300 new homes to Bronzeville, playing a crucial part in the neighborhood’s resurgence. Nowhere are the changes more evident than at King Drive and Pershing Road, where a few of the battered low-rises of the Ida B. Wells public housing project are still occupied. On a recent weekday afternoon, a disheveled man stumbles through one of the trash-strewn yards towards a stranger’s car, shouting incoherently. A clutch of young men stands in an alley, passing a bottle in a paper bag. “We didn’t do it!” one of them calls out again and again. Just a few blocks east along Pershing Road at the Oakwood Shores development, two well dressed women stroll down a sidewalk past pristine new apartment buildings with landscaped yards, a well-scrubbed child wearing a pink and purple backpack in tow. One of the women pulls out a set of keys from a green leather handbag and opens a door, smiling and beckoning the others inside. The old Bronzeville of vacant, weed-strewn lots, substandard housing, and a flourishing drug trade now exists side-by-side with a new and growing Bronzeville, one built on tidy, newly-constructed homes and rehabbed mansions, manicured lawns, and here and there, the kind of café, shop or art gallery that would seem at home in the West Loop or River North. The transition isn’t an easy one for residents new or old, but the sense of excitement about Bronzeville’s prospects is palpable. There is also a sense of fear on the part of some that changes won’t be big enough or come fast enough, and on the part of others that too much change already has occurred too quickly. Bronzeville’s borders are hard to pin down. The city’s Bronzeville historic district extends from 31st to 39th streets and from State Street to King Drive, but some describe it as a larger area stretching west from the lake to the Dan Ryan Expressway and south to at least 47th Street, including the Grand Boulevard, Douglas, Kenwood and Oakland communities. At the turn of the century, some of Chicago’s wealthiest denizens lived here in mansions, the opulent greystones and Beaux Arts gems that in some spots still grace its wide tree-lined boulevards. By the 1920s, African Americans traveling north as part of the Great Migration had settled the area, creating what was often called the “Black Metropolis,”? a hub of business, art and culture where Jazz Age-icons like Duke Ellington and Louis Armstrong plied their trade. The neighborhood also was called Chicago’s “Black Belt” or “Black Ghetto,” often by the white media. In response, James J. Gentry, an editor at the Chicago Bee, around 1930 coined the term “Bronzeville”? because it “more accurately described the skin tone of most of its inhabitants,” veteran African American real estate developer Dempsey J. Travis writes in the online Encyclopedia of Chicago. Bronzeville’s fortunes declined over the next several decades and ironically, fell further after passage of fair housing laws that broadened the options for African Americans in other areas. The CHA’s attempt at a solution was to build massive public housing projects, which quickly fell into disrepair and became hellish pockets of drugs, poverty and crime. Some of the most notorious were concentrated in the Bronzeville area: the Madden Park, Ida B. Wells and Clarence Darrow Homes, the Lakefront Homes, Stateway Gardens and the Robert Taylor Homes, the largest public housing project in the nation. “We were surrounded,” says Shirley Newsome, a longtime activist in North Kenwood-Oakland. 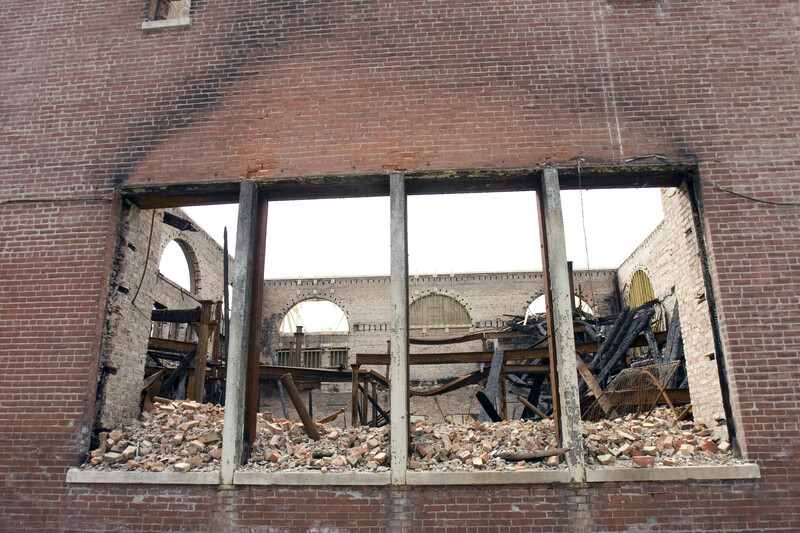 Newsome remembers when the CHA’s Lakefront Homes fell: Dec. 12, 1998, a seminal moment in the neighborhood’s rebirth. Since then, most of the city’s troubled public housing stock has met the wrecking ball, part of the CHA’s $1.4 billion Plan for Transformation. Adopted in 2000, the plan is a radical rethinking of public housing. It commits the CHA to rehab or rebuild 25,000 public housing units for families and seniors, one for every leaseholder living in a CHA apartment as of October 1999. Nearly 8,000 of these new homes will be redevelopment or rehabilitation of family housing in mixed-income communities, according to the CHA’s 2007 Annual Plan. Fewer than 2,300 of 8,000 homes have been completed. The plan as a whole is short on funds and behind schedule, its deadline extended from 2009 to 2015. Thousands of residents displaced by demolition have received Section 8 vouchers that subsidize their rent in privately owned apartments. 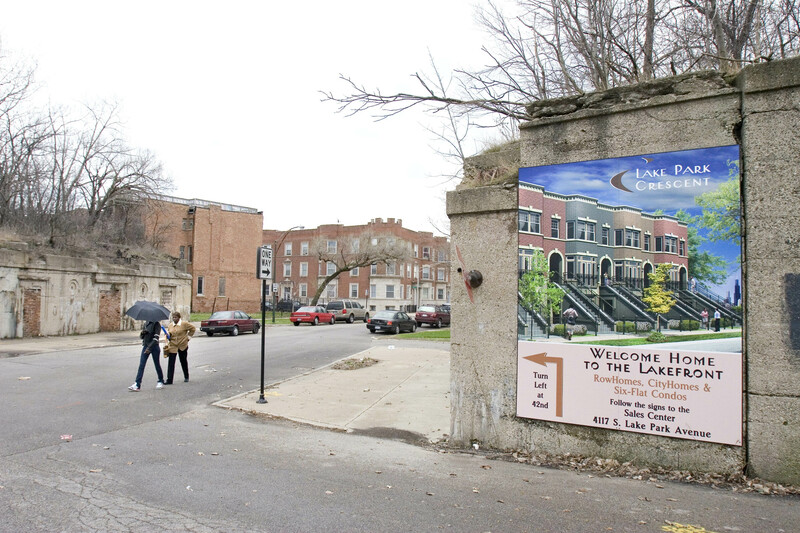 Most of those displaced from projects in Bronzeville and other area moved to South Shore, Englewood, Washington Park, West Englewood and Woodlawn, according to a 2004 report by the Metropolitan Planning Council. About 15,000 families are on a waiting list for relocation housing, The New York Times recently reported. And yet some developers have had trouble finding enough former CHA residents to fill the new units. “Some families don’t want to come back,” says Whitney Weller, vice president of development at Michaels Development Co., which along with Brinshore Development is building Legends South on the former site of the Robert Taylor Homes. Many displaced families have been living in their new neighborhoods for years, she notes. Others are struggling to meet the requirements of the CHA’s Minimum Tenant Selection Plan, adopted in 2004. Residents must work or go to school at least 30 hours a week. They cannot have a bankruptcy on their records from the last two years or delinquent debts (including utility bills but not school and medical bills). Household members 18 or older must pass a criminal background check of their records during the last three years. Some argue that these restrictions effectively shunt much of the low-income population to the city’s margins, compromising the plan’s egalitarian mission. Others, like Ald. Toni Preckwinkle (4th), who has presided over much of the building boom in North Kenwood-Oakland, say that this is the cost of saving a neighborhood from its most intractable problems. She likened the process to skimming cream off milk. Those who do come back are part of a pioneering social experiment. The mixed-income communities vary in their specifics, but in general, they tend to be divided in thirds between CHA replacement housing, affordable housing and market-rate homes, with both rental and for-sale components. The communities are economically integrated, CHA units indistinguishable from and interspersed with market-rate and affordable homes, often within the same buildings. While the vast majority of CHA residents rent, some developments allow a small number of highly qualified CHA residents to buy homes through a program administered by CHAC, Inc., which also manages the CHA’s Housing Choice Voucher Program. 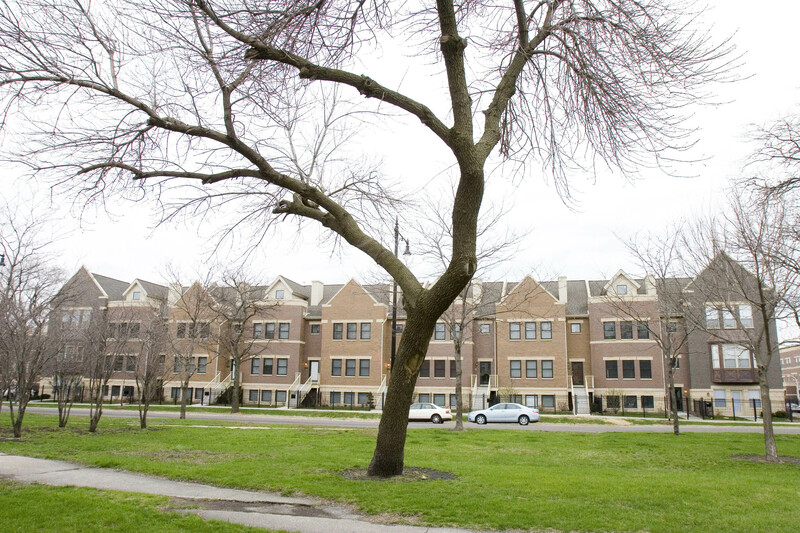 In the Bronzeville area, every mixed-income project except Park Boulevard requires annual drug testing for public housing residents. 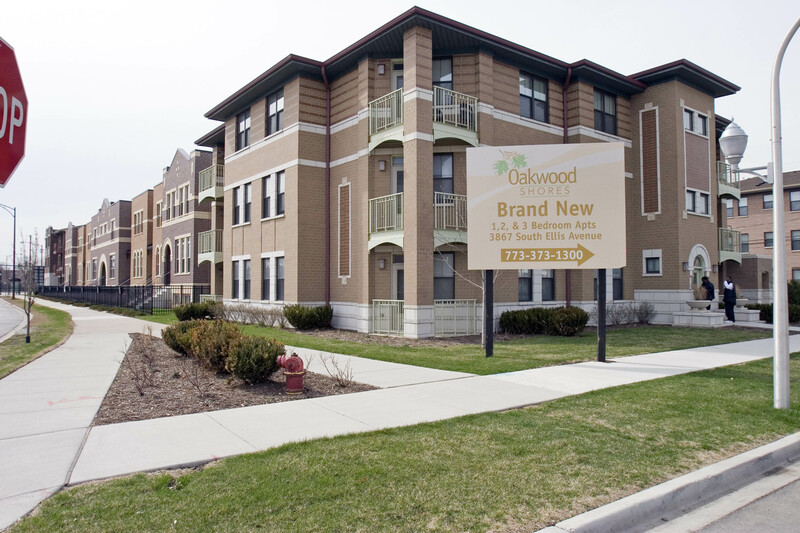 At some developments, including Oakwood Shores and Legends South, drug testing is required for all tenants, even those paying affordable and market rates – a decision made by “working groups” composed of CHA officials, city planners, residents and community groups. “We were very nervous about that,” says William Goldsmith, a vice president and director of development in the Midwest region at The Community Builders, a national nonprofit that is handling property management and social services for CHA residents at Oakwood Shores. But few have objected to the drug tests, he says. Weller, of Michaels Development Co., says the same has been true at Legends South. Drug testing sits fine with Rosemary Coleman. “Tell me to come down tomorrow – no problem,” she says, adding that she’ll do what it takes to make sure the problems of Madden Park don’t reappear in her new community. The long-term success of the mixed-income communities rides on their appeal to market-rate buyers and renters, Goldsmith says. That hasn’t been a problem so far at Oakwood Shores, says Joseph A. Williams, president of Granite Development Corp. “We haven’t had any problem on the high end selling our products,” he says, noting that prices have climbed steadily and now top out in the mid-$500s for detached houses at The Arches at Oakwood Shores, the development’s for-sale component. Granite is building 3,000 new homes on the site of the former Ida B. Wells, Madden Park and Darrow Homes (bounded by 35th Street, Pershing Road, King Drive and Ellis Avenue). The first phase, 455 units at the southeast corner of the site, is nearing completion, Williams says. At press time, contracts had been signed on 80 of the 130 for-sale units. A second phase of more than 700 units is slated to break ground before the end of the year. At Legends South, about 2,400 homes will be built on or near the site of the former Robert Taylor Homes, which stretched along State Street for two miles from Pershing Road to 54th Street. Mahalia Place, a 110-unit rental complex, is built and occupied. A Legends South’s on-site phase, rental and for-sale homes called Hansberry Square after the writer Lorraine Hansberry, is underway. The first phase of Hansberry Square includes about 300 units, 70 of which are for sale. Half of the for-sale homes on the market were sold at press time, according to Kristyn Dunn of Coldwell Banker’s Hyde Park office, which is marketing the project. Condos are priced from the $220s and single-families from the $470s. Two-flat buildings, which start in the $550s, are designed so that owners can live in an upstairs duplex and rent out the ground-floor simplex. And north of Legends, Park Boulevard is under construction on the 34-acre site of the former Stateway Gardens public housing complex. Two-thirds of the 1,300 homes at Park Boulevard are for sale – more than at many other mixed-income projects. “Our approach has been distinctly market-oriented,” says James Miller, CEO of developer Stateway Associates. The remaining third will be built as condos owned and managed by Stateway Associates and rented to returning CHA families. Of the 211 for-sale units in the first phase, priced from the $160s to the $680s, 50 percent were sold at press time, according to Park Boulevard sales manager Norma Baskins. To the east, a couple of CHA redevelopment projects that are smaller, though still sizeable, are capitalizing on proximity to the lake. Lake Park Crescent is rising on the former site of the Lakefront Homes. When the project is finished, 490 new homes will fill the blocks bounded by Lake Park and Oakenwald avenues and 40th and 42nd streets. Developer Draper and Kramer has completed 13 apartment buildings, and at press time, an April groundbreaking was planned for the first phase of 68 for-sale units. About 50 percent of these have been sold, according to Kim Dooley, marketing director at Draper and Kramer. Prices range from the $190s for a one-bedroom simplex to the $720s for a rowhome. The Davis Group, headed by veteran developer and investor Allison Davis, will take on Lake Park Crescent’s second phase, according to Preckwinkle, who felt the first phase did not progress quickly enough. Draper and Kramer had trouble filling its apartments with Lakefront Homes tenants, eventually getting permission from a U.S. District Court judge to rent them to residents of other CHA projects or to people who had never lived in public housing. Jazz on the Boulevard, another project replacing the Lakefront Homes, has had no such difficulty, in part because only 30 of its 137 units are leased to public housing residents. Jazz, which occupies the blocks from Cottage Grove Avenue to Drexel Boulevard and from 41st Street to 42nd Place, is completely built, with 26 units remaining for sale at press time, according to Tony Rogers, development manager. Developer The Thrush Companies is offering immediate delivery on Jazz homes, which range from the $180s to the $420s. Something is happening – even though the area’s commercial strips are still dominated by run-down storefronts, vacant lots and fast-food joints. 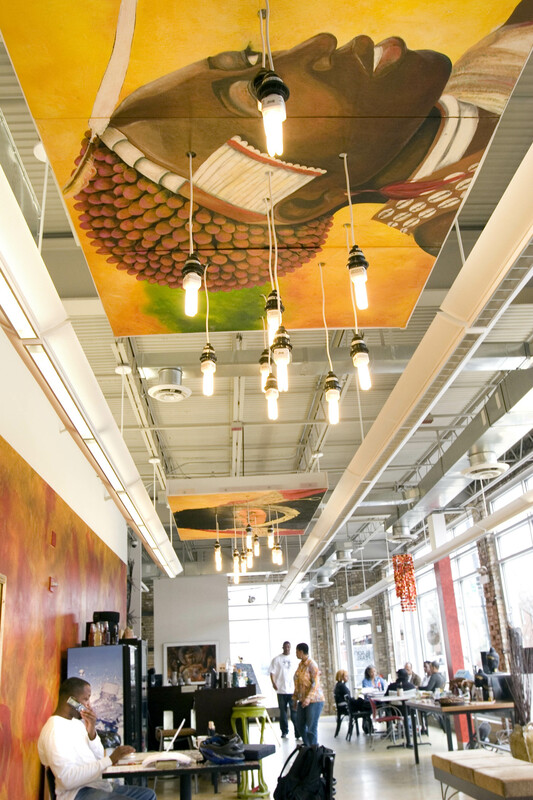 But a few slick newcomers – coffee shops serving lattes and fresh sandwiches, art galleries specializing in African-American artists and specialty shops catering to locals – are sneaking in. 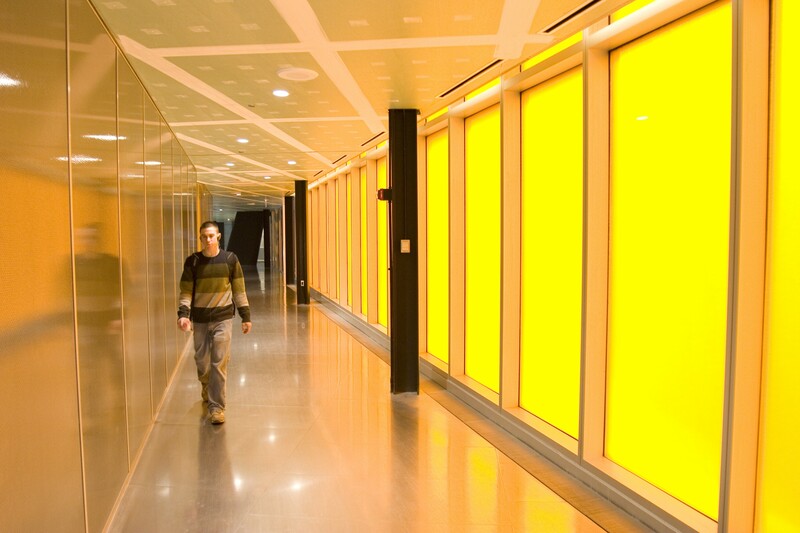 There are glitzy new institutions, ranging from the Harold Washington Cultural Center, a large music and entertainment venue, to Little Black Pearl, a dazzling 40,000-square-foot art center for kids. 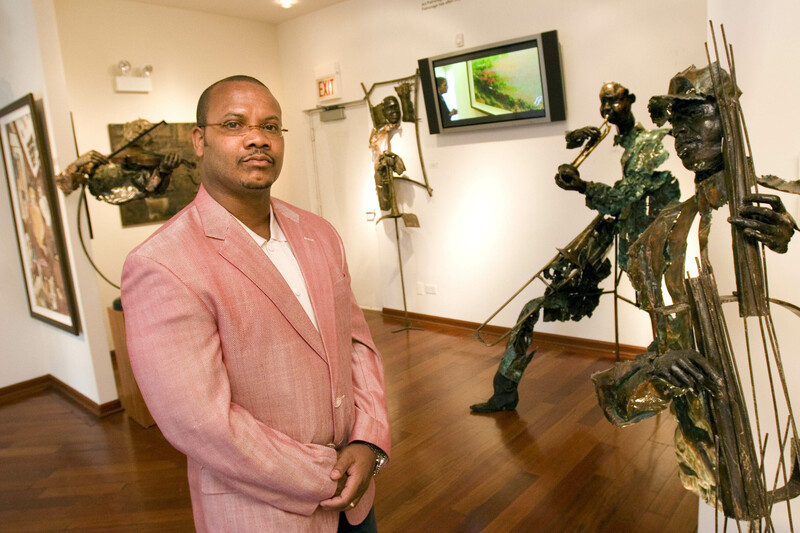 Smaller-scale social and cultural spots are cropping up, too, including Ain’t She Sweet Café, 4532 S. Cottage Grove Ave., where original artwork hangs on the walls, and the Bronzeville Coffee House (528 E. 43rd St), which has live jazz, comedy and other events. Between these bright spots are long empty stretches, vacant lots and boarded storefronts or low-grade retail, but a spate of new retail developments is coming, following the influx of new residents and filling several of those gaps (see sidebar on p.52). Residential development, which gained momentum after a local community conservation council sponsored a Parade of Homes in the area in 1994, and slowly growing retail have helped housing prices to skyrocket. In Oakland, the median price of a single-family house rose to $442,250 in 2006, up from $245,000 in 2001 and just $54,000 in 1997, according to data from the Chicago Association of Realtors compiled by sales agent Kristyn Dunn of Coldwell Banker. Similar appreciation has occurred in neighboring Douglas, where the median single-family was $391,500 in 2006, and in Grand Boulevard, where it was $375,000, according to Dunn’s figures. Those prices are good news for builders and some homeowners, but others fear they’ll be forced out of the neighborhood, where affordable housing is short supply, according to Holly Marshall, director of operations at Genesis Housing Development Corporation, a faith-based nonprofit that builds affordable housing and educates homebuyers in the greater Bronzeville area. Roughly 140 people took Genesis’ home-buying workshops last year, Marshall says. “Their incomes are so far below what would allow them to afford anything in this neighborhood.” Even the city’s definition of affordable housing is “still really out of reach for them,” she says. She described these prospective buyers as “working people,” some of them longtime Bronzeville-area renters hoping to buy houses there. “We’re basically saying, ‘you just can’t,'” she says. Genesis has begun counseling them to look at condos, or increasingly, to head for more affordable neighborhoods. “We’re looking at other areas, South Shore, farther south,” she says. 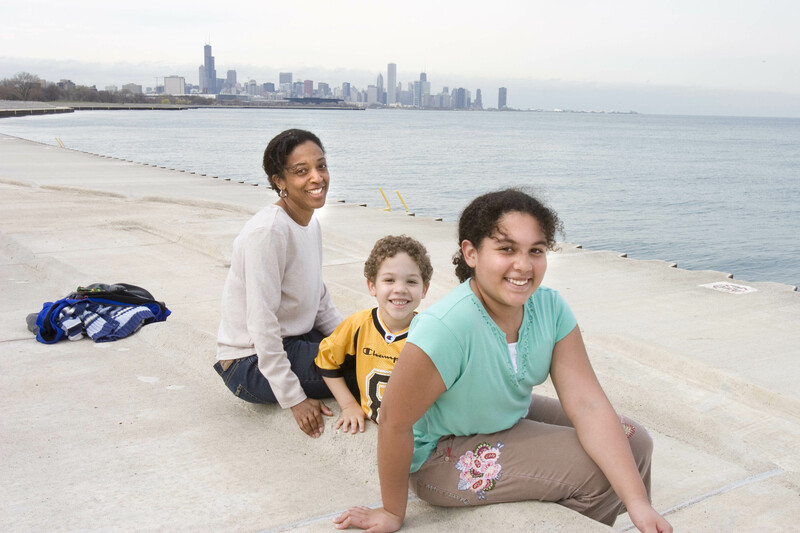 In the Chicago Police Department’s 21st District, which covers a narrow strip along the city’s south lakefront, the overall crime rate fell 19.6 percent, to 288 incidents in January 2007, down from 358 incidents in January 2006. In the 2nd District just to the west, crime fell 28 percent over the same period, to 288 incidents from 400 incidents. These numbers are roughly on par with those in North Side neighborhoods surrounding downtown. And gradually, diversity is creeping into an area that used to be uniformly poor and African American. At both Legends South and Oakwood Shores, about 30 percent of the residents are not African American, say Weller of Michaels Development Co. and Williams of Granite Development Corp. This doesn’t amount to many people just yet, since the projects are still in their early stages, but the trend indicates the potential for a demographic shift. “It’s breaking up some of the segregation in this area,” says James Wilson of the city’s Department of Planning and Development. 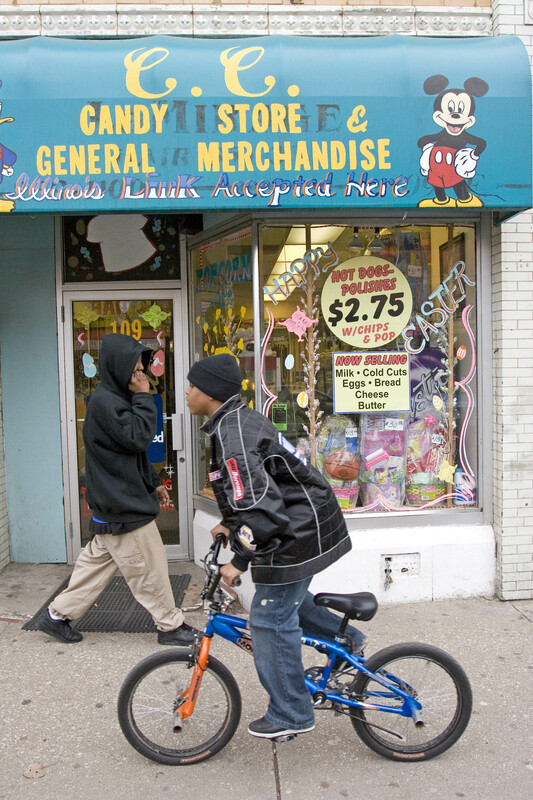 For a neighborhood with a past steeped in racial and economic segregation, any move towards integration – racial, social or economic – represents a bold new chapter.